One of the first words you hear when one speaks of the Tucson Gem Shows is "OVERWHELMING"!!! It can be a little daunting, but with a little pre-planning it can be done...and each year you will add shows & local events. We thought it might be fun to take a look at some of the individual shows that make up the 40+ shows of the Tucson Showcase to introduce you to some of the shows you haven't been to and so that the newbie could more accurately plan their trip to Tucson. 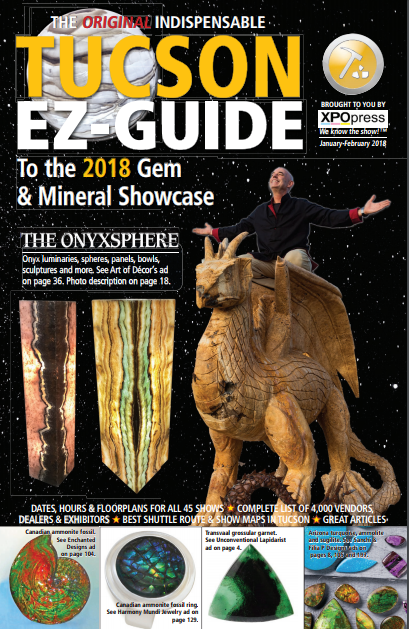 So first and foremost - the Tucson Gem & Mineral Showcase (AKA Tucson Gem Show) is actually over forty individual shows in separate venues across the city of Tucson. One way to get a headstart is to work your way through the Show Guide and look for vendors you recognize.